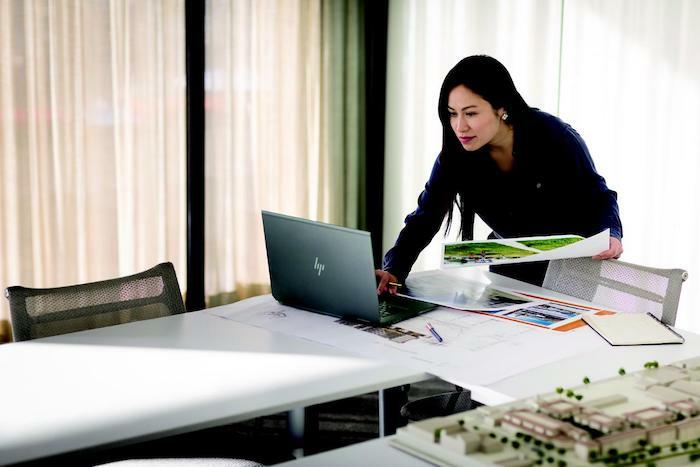 Just when we thought HP couldn’t have made their ZBook line of mobile workstations more powerful, they go on and throw in the 8th generation Intel Core i9 processors in the mix. What’s new in the mix? It wasn’t long ago when HP bumped up their Zbook lineup. The laptops have now gotten a major boost and will now come built in with the Core i9 hexa core processor, Nvidia Quadro P2000 graphics and of course an increased RAM. Four of its ZBook PCs: the ZBook Studio and the ZBook Studio x360, along with the ZBook 15 and 17 have received the upgrade. But they are still available with Core i5, Core i7 and Xeon options along with Intel’s latest innovation processors. Interestingly enough, HP doesn’t plan to stop here. The upgraded ZBook models also feature RAID 1 storage. This means that you can now have two solid state drives with the same data mirrored on both. This is a stellar feature for maintaining backups as you can always count on the other one in case the first drive fails. Moreover, HP has rewarded both ZBook Studio and the ZBook Studio x360 with support for up to a 4K display and up to 32GB of RAM. The bendable x360 convertible model will also be equipped with an anti-glare touchscreen. This addition has made the display even brighter while also cutting down on glare. Looks like HP wants to make these two devices outshine in terms of graphics performance and display and market the notebooks’ to better handle heavy workloads such as 3D rendering’. Moreover, the ZBook 15 and ZBook 17 laptops are getting their RAM upped with up to 128GB now. All four refreshed HP ZBook notebooks are available now on HP’s website. The ZBook 15, 17, and Studio are available starting at $1,349 (the 128GB RAM option available starting from December), while the ZBook Studio x360 causing a slightly more damage with the starting price of $1,499. For creative professionals, HP has decided to introduce a hardware subscription program along with a fresh plugin for Adobe Illustrator CC. A group of 100 creative professionals will be selected as initial members and will be outfitted with custom-made photographer, video editor, graphic designer or artist bundles. The bundle will include not just PCs, but also displays, printers, accessories and applications, which is a banging way to make a first impression with the remodel. The subscription scheme allows creators to enjoy their bundles for three months free of charge. After the trial period, the subscribers can either choose to pay for the monthly subscription package or send the contraptions back free of charge. HP is yet to reveal the costing specifications of their monthly package. If you would like to try out your luck and be one of the 100s, subscribe away on HP’s website.